Since 1972, Lister Construction has been committed to delivering the best product possible to our customers. Our reputation for quality workmanship, reliability and integrity has built us into a recognized tilt-up construction leader in San Diego County. We employ some of the most skilled tradespeople in the industry. 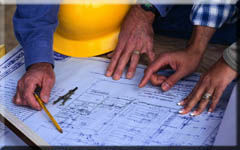 Our dedicated staff has experience in every phase of the project. We provide projects that are consistently completed on time and within budget, delivering superior quality, cost efficiency and peace of mind to our clients. We look forward to hearing from you. Feel free to contact us by e-mail, phone or fax to discuss your tilt-up construction needs. If you have any questions, comments or would like to schedule a consultation, please contact us. We look forward to serving your needs.